Episode 31 – Does God Show Up In Cold Weather? January 25, 2008 Artur Pawlowski Comments Off on Episode 31 – Does God Show Up In Cold Weather? 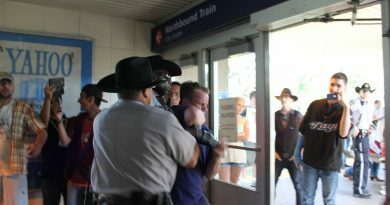 Calgary Transit Peace Officers shocking assault and theft caught on camera. December 6, 2014 Artur Pawlowski Comments Off on Calgary Transit Peace Officers shocking assault and theft caught on camera. Episode 27 – What Would Jesus Do? January 25, 2008 Artur Pawlowski Comments Off on Episode 27 – What Would Jesus Do?